Independent file photo SMSU’s Megan Cull winds up a pitch during their NSIC Tournament game against MSU Mankato on May 3, 2018. The Mustangs open their 2019 season today. MARSHALL – The Southwest Minnesota State softball team will officially open the 2019 season on Tuesday with a trip to West St. Paul to face MSU Moorhead at 10 a.m. to start a stretch of four games to be played in the dome. •SMSU will also face Bemidji State following the game versus MSU Moorhead and Minnesota Crookston on Wednesday at 9 a.m.
•SMSU begins the 2019 season coming off of a 10-26 campaign in 2018 with a 10-14 NSIC record. •The Mustangs qualified for the 2018 NSIC Tournament after finishing tenth in the conference. 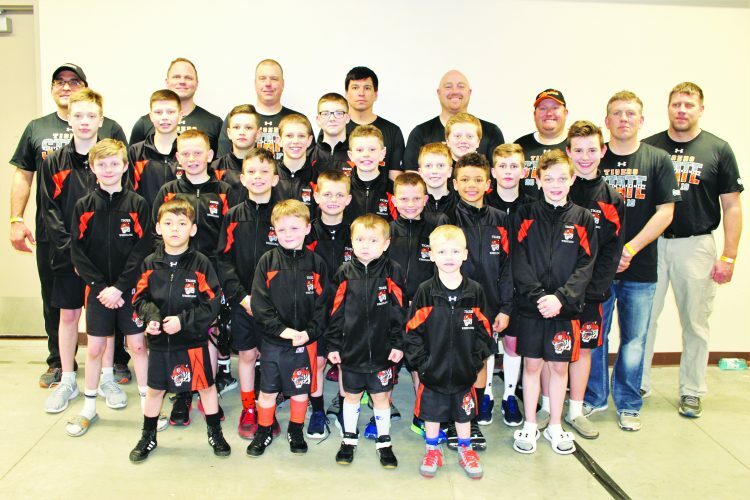 The Mustangs won three games to finish fourth in the tournament. 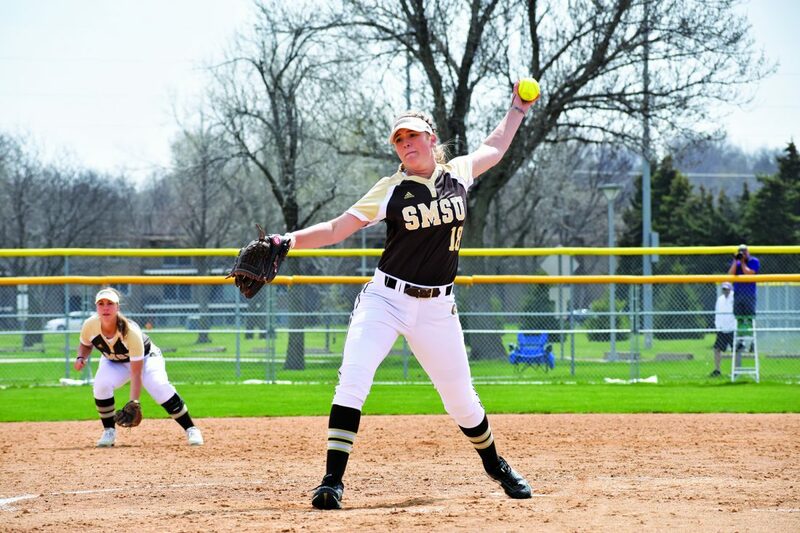 •Head coach Bailey Bouman enters her first season at the helm of the SMSU softball program and welcomes a roster of 12 players, led by five seniors and welcomes seven freshman. •SMSU is led by seniors, Abbie Decker, Shelby Crank, Athena Golling, Sara DeSmet, and Alex Reak. •Decker, a center fielder, has started every game the past two seasons, and hit four doubles, three home runs and 16 RBIs in 2018. •Crank, a pitcher/infielder, led the team with 17 starts in the circle with a 6-7 record. She finished the 2018 season with six complete games and one shutout. She had a season-high 11 strikeouts with no walks in a complete game victory over MSU Moorhead. •Golling appeared in 25 games with 11 starts in the circle, recording 71 strikeouts in 81 innings, and two saves in 2018. She enters her senior season with 18 career victories. •DeSmet, an outfielder, played in 43 games with 42 starts and recorded four doubles, one triple and 13 RBIs. •Reak played in 24 games with 17 starts a season ago in the infield. She finished the year batting .216 with five home runs, two doubles, seven runs scored, and 12 RBIs. •SMSU will also welcome back strong impacts in its infield with juniors Emma Grote and Kali Tomlinson. Grote started every game last season and finished batting .324 with two doubles. She led the team in stolen bases with eight and scored 25 runs. Grote recorded a 10-game hitting streak, which tied for the longest on the team. Tomlinson started every game as well and led the team with seven home runs. She batted .329, tied the team-lead with 11 doubles, and led the team in RBIs with 30. •Junior pitcher Megan Cull will return to the circle after leading the team with seven victories last season finishing with a 7-10 record and one save. She appeared in a team-high 27 games with 16 starts, tossing a team-high 106 innings with a team-leading 94 strikeouts. •Other returning players on the roster include sophomore outfielder Bailey Johnson and junior outfielder Madison Krog. Johnson started every game and ended the season with a team-high .341 batting average, a team-high 28 runs, and tied for the team lead with 11 doubles. Krog started 42 games and finished the season batting .319 with three home runs, two doubles, and two triples. •Junior infielder Kaylee Hentges closed the season batting .276 with four doubles, three home runs and 14 RBIs. Madysson Schliinz, a sophomore infielder, also returns after finishing the season batting .285 with two doubles and two RBIs. •The Dragons finished the 2018 season with a 14-30 overall record and 5-19 in the NSIC. •The Dragons were picked to finish 15th in the NSIC Preseason Coaches Poll with the return of seven starters. •Freshman outfielder, Sam Gjerde, is MSUM’s player to watch, after transfering from DI South Dakota State where she redshirted last year. •Gjerde was a four-time all-state honoree, she hit .448 for her HS career with school records 133 RBIs and 57 doubles. •Sophomore right-handed pitcher, Becky Berth, was also named MSUM’s pitcher to watch. •Led with eight wins as a freshman and pitched to 15 complete games, including one shutout. •Berth led team in strikeouts (83) and innings pitched (132.0) and two saves. •SMSU holds a 31-9 record at neutral sites. •The Mustangs have won the past 28 consecutive games. •SMSU won 9-2 in the last meeting on April 6, 2018 in Aberdeen, S.D. •BSU finished the 2018 season with a 17-27 record and 6-16 in the NSIC. •Head Coach, Rick Supinksi, begins his eighth season leading the BSU softball program with a 114-171 career record. •The Beavers were picked to finish 14th in the NSIC Preseason Coaches Poll with the return of seven starters and 12 letter winners. •Pagel led the Beavers in batting average (.356), hits (54), RBI (28), home runs (7), and at bats (148) in 2018. -She was one of two players to appear in all 44 games and finished second on the team with a .547 slugging percentage and third on the team with 22 runs scored. •In left field, she recorded 62 putouts and posted a .942 fielding percentage. •Senior right-handed pitcher, Rochelle Koshalek, was also named BSU’s pitcher to watch. •Koshalek pitched 50 innings in 16 appearances for a 3-6 record and a 4.62 ERA. •She had 16 strikeouts on the season including a career-high seven in one game. •SMSU leads the all-time series 62-22 dating back to 1981. •SMSU holds a 26-4 record at neutral sites. •BSU swept SMSU in the last meeting on April 28, 2018 in Bemidji. 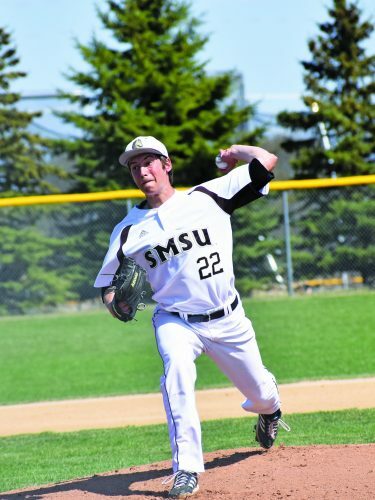 •Prior to, SMSU had swept BSU in a non-conference double-header in the West St. Paul dome earlier last season. •SMSU had 12 of 13 games from 2010-2015. •Head Coach, Travis Owen, begins his first season as head coach, prior to serving as an assistant coach at DI Northern Colorado for two seasons. •UMC returns five starters from last season. •Senior first/third basemen, Rocky Bjorge, hit .323 in 31 starts for UMC. •She hit one homer and 7 RBIs. •She held a .980 fielding percentage at predominately first base, with only three errors. •Junior right-handed pitcher, Paige Pitlick, posted a 4.36 ERA in 69 innings. She had 40 strikeouts last season and gave up a team-low four home runs on the season. •SMSU leads the all-time series 38-2 and is undefeated 16-0 at neutral sites. 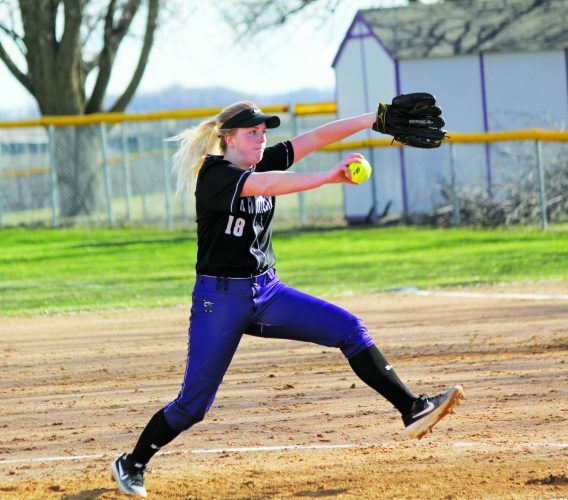 •UMC’s only victories occurred on April 18, 2016 with a 6-3 victory in Crookston, and on April 25, 2010 with a 6-4 win in Marshall. •SMSU won 3-2 in the last meeting on April 29, 2018 in Crookston. •The Mustangs dropped a season opener double-header against Minnesota Duluth last season in two non-conference games in the West St. Paul dome.